"My son's ability to have some kind of mastery over something has really increased his self-confidence." "Time, talent and treasure" is a phrase often used in the nonprofit world, and it applies to the needs of Florida Archery Foundation, as well. There are numerous areas where volunteers are needed to help support the programs offered by FAF. Data entry, tournament scorekeepers, range maintenance, event set up...these are just a few of the many ways you can donate your time. Have a few hours to spare one-time, or a regular block of time to devote to our cause? We can put you to work where you are most needed. Take a look at our brochure to learn more! 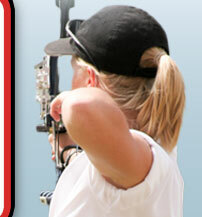 Certainly, if you are an archer, an obvious way you can contribute is through your archery talent. We have many classes and programs that can use your expertise. But you don't have to be an archer to contribute a talent. Are you gifted at sharing on social media? We can provide you with the type of information to communicate, and you can use that talent to help spread the word about FAF. Do you have great organizational skills? You can put those skills to use by being a volunteer coordinator. Let us know what you are interested in doing, and we can surely find a way to put your talents to good use! FAF has so many programs on the drawing board to touch many lives, but securing the funds to put those plans into action is critical in achieving our mission. 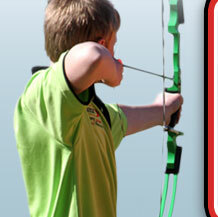 Whether it's a one-time donation of funds to purchase equipment or on-going support to launch and maintain a program, regardless of the size of the contribution, any and all donations are valued and will reap a return on investment through the lives changed by Florida Archery Foundation. Click to donate now or Contact Us to learn more about FAF and how you can provide support. There are two big ways you can help: volunteer or sponsorship!